You must obtain a marriage license before your wedding. The Clark County Marriage Bureau is located at the regional justice center located at 201 Clark Avenue. Business hours are from 8 AM to midnight, 7 days a week, 365 days a year including holidays. Both the bride and groom must be present and have valid photo id’s. (Drivers license, passport or military id) The cost is $77.00. You can access this info online by going to www.accessclarkcounty.com. A certified copy is required for proof of marriage that can only be obtained after the ceremony is performed not before. The cost is $15.00 payable to Clark County Recorders Office. You must wait 10 days before requesting your copy after the wedding. It then takes approximately 2 to 3 weeks to receive your copy. Las Vegas Strip Weddings can obtain this certified proof of marriage for you the next day for an expedited fee of $115.00. This fee includes the fee to the court of $15.00. View Helpful Tips for specific information. A non-refundable deposit of 50% of your package price is required to secure your date and time. The remaining balance is due 30 days prior to your wedding date and will be charged to your credit card on file unless otherwise specified. You also have the option to make payments on your wedding package but all payments must be paid in full 30 days prior to your wedding date. Las Vegas Strip Weddings accept all major credit cards with the exception of American Express. Las Vegas Strip Wedding officiants can perform a civil or religious wedding ceremony please indicate to the coordinator or Minister which you would prefer. You can also incorporate your own vows. 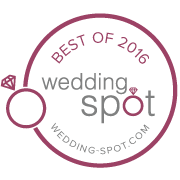 Las Vegas Strip Weddings also provides Officiant services only. Depending on the location within the Las Vegas area. Pricing is $175 to $475 depending if a wedding permit is required to be purchased. 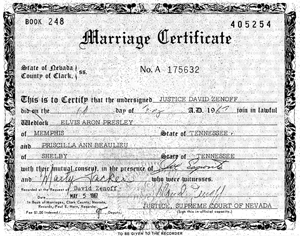 If you require an expedited service of your marriage certificate the cost is $115 . This includes the $15.00 court fee. Your certificate will be delivered to your hotel the next business day. If you are leaving town we can mail your certificate regular mail or if you prefer FedEx or Priority for an additional cost. Please let the Minister or Coordinator know if you would like this service. We at Las Vegas Strip Weddings allow your guests to take photos we just ask that you ask your guests not take photos at the same time as our photographer as this could disrupt your photo shoot. Minister is included in all of our packages no gratuity needed. Photographer gratuity is not included in any of our packages gratuity for photographer is $50. If you are also getting a video a gratuity for your videographer is also $50. If you are booking a Valley of Fire or Red Rock package. You may want to take or wear a comfortable pair of flat shoes such as Ballet slippers or Flip flops. Your photos sometimes required you to stand on rock formations and would prefer you have shoes that would allow you to do this safely. ***We do not cancel weddings and/or photography sessions for weather related events. We do not allow cancellation or rescheduling for weather related events. No refunds or partial refunds are given for weather related events. ***Guests: If your guests arrive late, we will not “hold” a ceremony from starting.